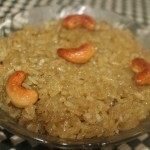 Avalakkai payasa is a traditional sweet dish made with beaten rice/poha, jaggery and coconut. 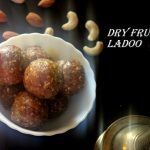 This sweet dish is very popular in South India and it is also delicious and healthy. 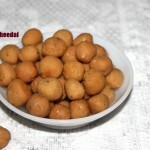 Jaggery has lot of iron content and beaten rice is easily digestible and fat free. 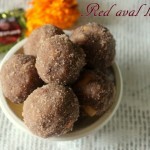 Avalakki payasa is prepared on Janmashtami day, an auspicious occasion and served as offering/prasad to Lord Krishna. 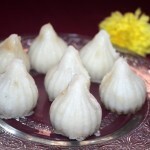 It is also prepared on all special and festive occasions. 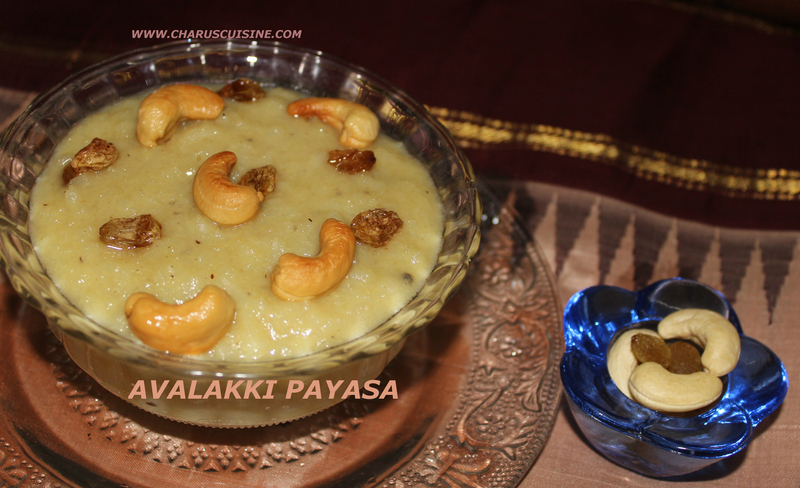 HOW TO MAKE OR COOK AVALAKKI PAYASA OR AVAL PAYASAM RECIPE Heat a pan on a medium flame. Add beaten rice and roast for 1 to 2 minutes till the raw smell goes away. Remove the roasted beaten rice in a bowl and allow it to cool down. 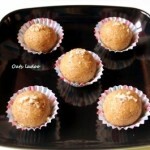 Grate the jaggery and keep separately in a plate. Heat a pan on a low flame. 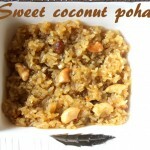 Add 1 tablespoon of ghee. Add cashewnuts and stir fry till golden brown. Remove the roasted cashew nuts. Then add raisins and stir fry for half a minute. Set aside. In the same pan, add soaked beaten rice and milk. Cook for 2 minutes on a medium flame. 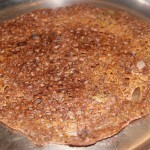 Then add grated jaggery and coconut mixture and mix well. Cook for another 8 to 10 minutes on a medium flame, till all the ingredients blend well with each other. Bring the payasa to a medium consistency or consistency as desired by you. Remove from the flame. Garnish with stir fried cashewnuts and raisins. 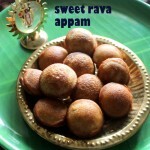 Serve avalakki payasa warm or cold.